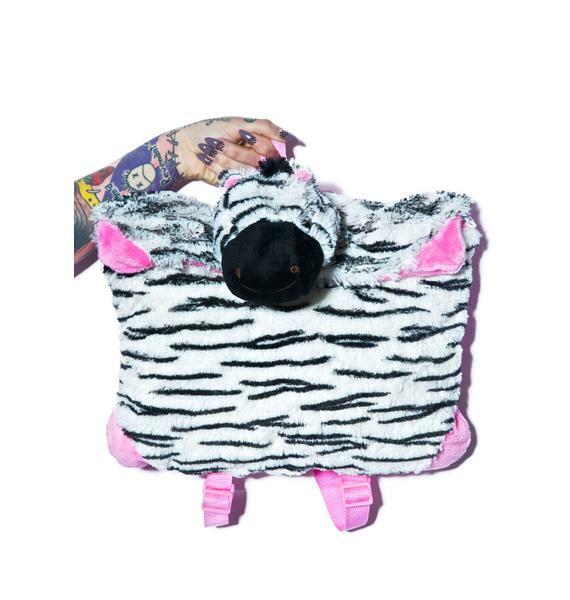 Pillow Pets Zippity Zebra Backpack cuz we wouldnt want you to change yer cute stripes, BB. Now yew have a friend to match during any expedition with this supa adorbz mini backpack. 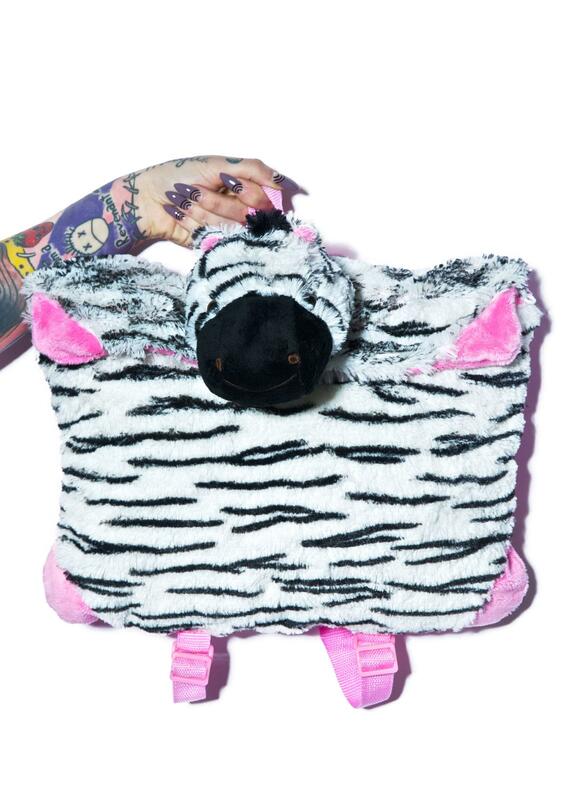 Featurin a softtt, zebra-shaped bag, this little BB is stretching out its arms fer you! Flip the velcro flap pocket and uncover the zipper main compartment, and this cutie transforms from a comfy travel buddy pillow to a pack! Roomy enough to carry yer notebook or tablet, this bag will alwayz have yer back its adjustable, petite nylon straps that allow you to carry it around yer back or arms. With its buttery faux fur and extra plush padding, this zebra babe us ready to trek any land with yew.